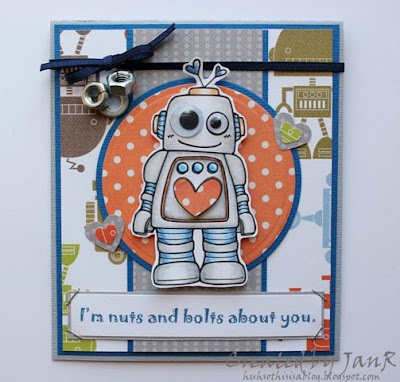 I found this fantastic card created by JanR! She used Lovely Robot. The sentiment she added is perfect, isn't it?? And I love the little nut charm(?)!! Thank you to JanR for letting me showcase your card! What a fabulous card, love it! Digital stamp is NOT only for paper crafting! Merry Monday Challenge #6 - Featured Designer! !